Pathogenic micro-organisms: Listeria monocytogenes (9000 CFU/g) in raw milk cheese from France, following company’s own check. Notified by France, distributed also to Spain. Pathogenic micro-organisms: Campylobacter jejuni (200; 2800; 100; 3000; 800; <100; 400; 1900; 200; 3900; <100; 500 CFU/g) in whole chilled chickens from France, following an official control on the market. Notified by Denmark. Heavy metals: tin (310 mg/kg – ppm) in canned pineapple from Indonesia, following a border control. Notified by Latvia, distributed also to Estonia and Lithuania. unauthorised substance trichlorfon (3.9 mg/kg – ppm) in white beans from Nigeria. – Allergens: undeclared mustard in salad sauce, following company’s own check. Origin Hungary, notified by Poland. – Pathogenic micro-organisms: Salmonella enteritidis in fresh/frozen poultry meat, following company’s own check. Origin Poland, notified by Poland, distributed also to Bulgaria and United Kingdom. 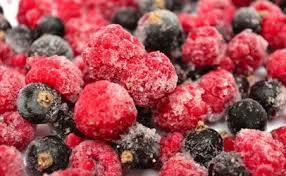 – Pathogenic micro-organisms: virus of Hepatitis A in mixed frozen berries, following a food poisoning. Origin Poland and Bulgaria (via Belgium), notified by France. Regarding border rejections we have, among the others, Salmonella Spp. in frozen salted chicken breast halves from Brazil, shigatoxin-producing Escherichia coli in frozen beef from Brazil, norovirus in frozen cooked whole white clams from Vietnam, aflatoxins in shelled almonds from the United States, pistachio kernels from Iran (dispatched from Turkey) and in organic nutmeg powder from India, attempt to illegally import or absence of Common Entry Document (CED) for paan leaves from India and Bangladesh, absence or improper health certificate(s) for seaweed and senbei rice crackers from Hong Kong, for fish sauce from Thailand, for peanut and tamarind chutney from India and for cashew and almond whole fruit and nut bar from Canada (via United States), high content of aluminium in brakeroot vermicelli from China, triazophos in okras from India, fenitrothion in black olives in brine from Egypt, procymidone in fresh peppers from Turkey, acephate in basmati parboiled rice from India, coffee from Brazil infested with moulds, cadmium in frozen Pacific flying squids from China, unauthorised use of colour E 127 – erythrosine in pickled ginger from Thailand, unauthorised substances tin, germanium, cobalt, vanadium and strontium in food supplement, unauthorised novel food meshima mushroom (Phellinus linteus) to be used in food supplements, unauthorised placing on the market of food supplement containing Juglans nigra and unauthorised novel food ingredient clinoptilolite in food supplements from the United States, salicylic acid and undeclared colour E 102 – tartrazine in candies with corn flavour from China, triazophos, acetamiprid, imidacloprid and fipronil and unauthorised substance diafenthiuron in green tea from China. For feed, we have several information for attention notification, for unauthorised genetically modified (Bt63 rice) choline chloride 60 % from China. – Migration: outer coating coming off from bakeware rectangular roasters, following a consumer complaint. Origin China (via Hong Kong), notified by Greece, distributed also to Bulgaria and Cyprus.